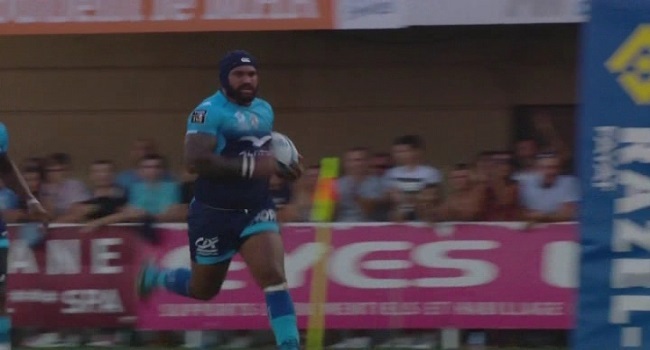 The Montpellier rugby side has moved to second spot on the French T14 rugby competition standings after defeating defending champions Clermont 28-24 today. Flying Fijian winger Nemani Nadolo scored two tries for the winners. Nadolo was also sin binned late in the match. In other matches, Brive edged Stade Francais 20-19, Agen had a close 26-24 win over Toulon while Racing 92 beat Pau 23-20. Meanwhile, the Fiji Airways Flying Fijians play Italy in their first European tour match at 2am this Sunday.